P. P. Quimby has been called the founder of 'New Thought.' This set of documents, published in 1921 in response to a campaign to question his early role in Christian Science, shows that Quimby indeed anticipated many of the key ideas of both movements. WHEN a man of ability and influence in the world has been misrepresented, a golden opportunity is put before us. Once in touch with his spirit, we may have the good fortune to catch his vision, see the marvels he might have achieved had he lived until our day, his genius recognized, his truth made our own. It will not then be necessary to devote much time to the controversies which have grown up around his name. Such an opportunity is put before the truth-loving world in the case of Phineas Parkhurst Quimby, gone from among us since January 16, 1866. He was not great as some account greatness. We need not praise him to do him justice. But he loved his fellowmen, lived and labored, and laid down his life for them. He was a very genuine lover of truth, and faithfully stood for a great truth of surpassing value for humanity. Whoever does this is worthy of our endeavors to put his work in its real light. Because he was persistently misrepresented, the world demands to know the full truth about him, and in knowing it may come into surer possession of his gift to humanity. 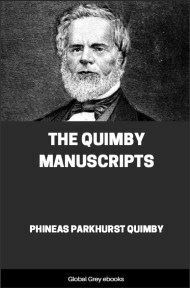 Because Dr. Quimby, as he was called by his patients and friends, has been put in a false light for many years, he is given opportunity to speak for himself, in his own words, from his letters, manuscripts and other documents, preserved precisely as he left them. Time has kept for our purposes everything needed to make the record complete. Quimby's writings were not meant for publication, although their author hoped to revise them for a hook, and he had already written experimental introductions. The lapse of time has brought many changes of thought, hence notes and explanations are necessary. 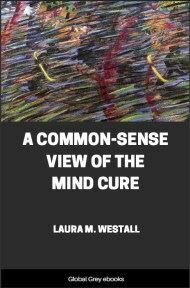 The therapeutic movement which grew out of Quimby's pioneer work has also undergone changes. Time has shown that the original teachings have come to possess a value which might not have been theirs had they been published fifty years ago. Now that the teachings are given to the world, many new estimates will be made. 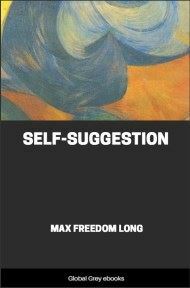 The majority of us are little accustomed to thinking in terms of inner experience without the embellishments of literary art or the interpretations of sects and schools; and some effort will be required to take up the point of view of a writer who wrote precisely as he thought. There is little to add to the biographical sketch published by his son George A. Quimby, in the New England Magazine, March, 1888, so far as external details are concerned. Quimby was born in Lebanon, New Hampshire, February 16, 1802. When two years of age his home was moved to Belfast, Maine, where he spent his boyhood days without noteworthy incident. The family home remained in Belfast. There Quimby began his first investigations in mental phenomena. Thither he went for rest and change in the years of his greatest activities as spiritual healer in Portland, and there his earthly life came to an end, after more than twenty years devoted to the type of work which gives him title to fame among original minds. His education in the schools was so meagre that he did not learn to spell and punctuate as most writers do. But when he misspelled he did so uniformly, and his phonetic spellings are convenient means of identification in his manuscripts. The same is true of his peculiar use of words. 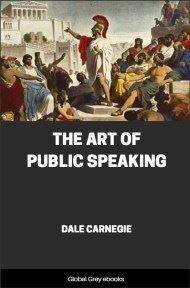 In one of his papers he says, with reference to his education, that if he has learning enough to convey his ideas to the world that will suffice. Had he been granted the opportunity as a young man, he would naturally have sought the best training in the special sciences, as that was the tendency of his mind. But there are other sorts of education which some of us value more. If to be educated is to have power to quicken in men and women knowledge of themselves, love for spiritual truth and love for God, then indeed he was educated in high degree. The significant fact is that with only a common-school education, and with but slight acquaintance with the ages of human thought, Quimby made the best use of his powers and grappled with the greatest problems with clear insight. To see why he came to believe as he did is to pass far beyond the external facts of his biography, and turn to his inner life with its outreachings. Quimby early manifested ability as an inventor, but his mechanical interests do not explain him. So, too, in his occupation as watch and clockmaker there is no hint of his peculiar ability in discerning the human heart. His power as inventor was limited by his interest in mechanics. 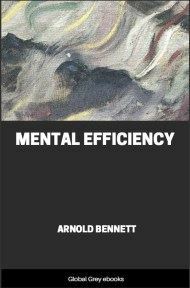 Before the period of his experiments in mental phenomena there is only one incident of any significance recorded, the recovery of his health in part without the aid of medicine; but even in this case his meagre account fails to tell us whether the change was in any sense permanent. It was not until his investigations were well begun that he wholly regained his health and began to see that health is a spiritual possession. But in reviewing this introductory period of his life everything once more depends on what we call education. Inventive or creative ability, combined with love for facts, the facts and laws of the special sciences, is a splendid beginning if one is to devote maturer years to establishing a spiritual science. Perhaps it was Quimby's love for natural facts which kept him from ignoring the existence and reality of the natural world, when he became absorbed in the study of the mind. Quimby's mind was scientific in the good sense of the term. He did not stop many years in the domain of mechanics. He was not content with letters patent as signs of his ability. Nor was he satisfied with studies in mesmerism, spiritism and kindred phenomena. The impressive fact is that he continued his researches until he laid the basis for a new structure in the world of thought. During the period of his preliminary investigations he read books on the sciences to some extent. But with the beginning of his life-work he branched out in a new direction, working entirely alone, amidst opposition and with no books to help him. His more productive years should therefore be judged by his high ideal of a spiritual science.